PAX East 2016 was our 8th PAX in a row. We learned a lot, especially looking back at our first "orange branding" attempt which came out of pure accident 2 years earlier at East 2014. In this post I want to talk about booth layouts, design, and in general how to make more of your showcase. Your booth is what makes your brand, and being inviting creates fans. The people that come to PAX are very, very important - they're the ones buying tickets to events that sell out within minutes. Make them happy. So here are top7 tips. I see plenty of booths, large and small, design in-wards facing layouts. It's stupid. Don't do that. You don't want to create walls around your space. You want people walking buy to easily get a glimpse of what's going on and not have restrictions that'd prevent people from leaving. 2. "Face" your booth towards highest traffic areas. Most constructions will force you to create a "back" for the booth. If you're in a smaller space, you're probably already backed up to a wall -- so there's not much choice there. But if you've got an island space, you really need to figure out what's the most dead spot and put your "back" there. Then make sure everything leading up to the back of the booth is open and see-through. Once you've figured out the face and layout, try walking around. Remember -- people will stop and stare at things. You need to have enough space so that traffic never stops. It's important so that the booth has good flow. Maybe placing these 2 monitors so close isn't a good idea, and having an opening between is more efficient. Nobody likes the feeling of being trapped. I was super happy when we bought a ton of comfortable chairs. They have slight back support and are great for sitting down, relaxing, and enjoying games. Being on your feet all day means comfort creates great associations. People will remember your game better if they were comfortable playing it. 5. Don't explain the games. Actually, don't micro-manage your booth in general. I'm sure a ton of devs will object. Many try to shove controllers to potential players. Fact is, if your booth is approachable, people will want to try your game(s). We love making automated demos that "run themselves". In idle mode, the screen will just have a trailer running on loop with a friendly "press any button to start" message. You come on up, and start playing. If the station goes idle again, the trailer will start playing. In SpeedRunners, we don't even have a trailer -- rather player control gets taken over by bots. The best games speak for themselves. We try to passively observe what players are trying to do, and help only if they have trouble. Most of the time people just want to chat after playing the demo. 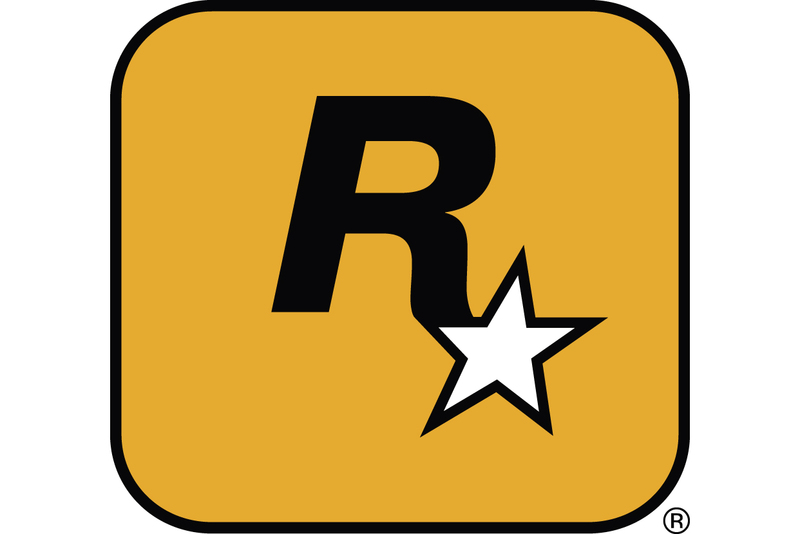 Don't make anyone feel obligate to play the game because you're trying to explain how it works. Plus you'll also get more time to be at the booth. For two PAXes in a row, we have a Punching Arcade Machine where people come up and try to win free swag (if they hit hard enough). 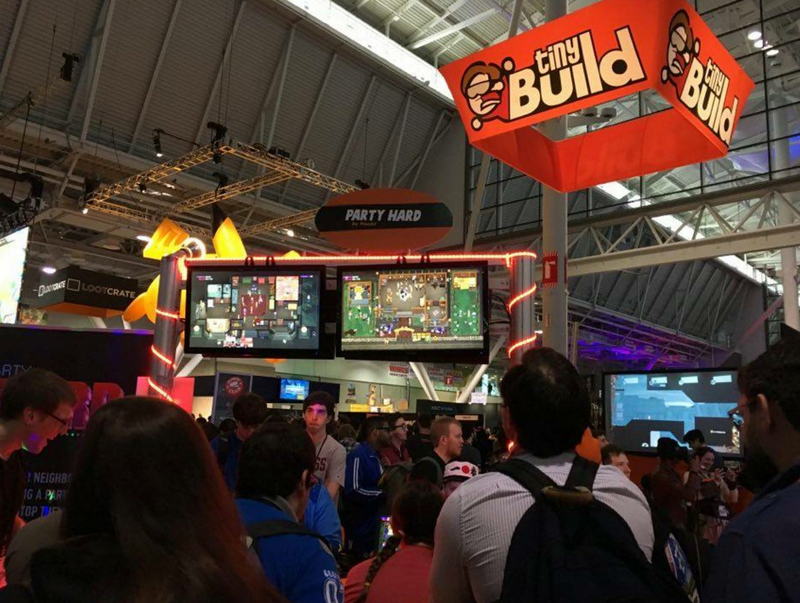 By basic calculations we had over 15,000 people try it out at PAX East 2016. People love activities. Before that, we'd have things like scavenger hunts to collect cards and exchange them for a free game. We had quizzes running on iPads that'd get you free games if you answer everything correctly. You'd have to actually play each demo in the booth to obtain the knowledge. Activities are what make you memorable. 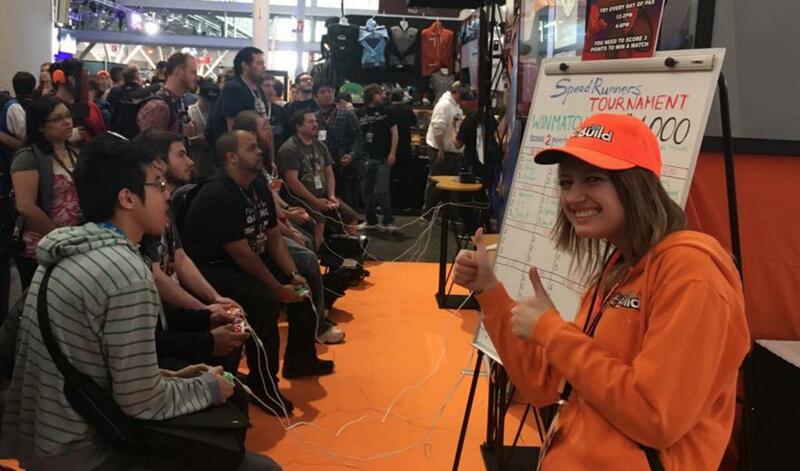 At PAX East 2016 we put up a large screen with SpeedRunners running on it, and flew out the best player in North America. We'd have a sign saying "beat this guy, get $1k", and tons of people lined up to try. My heart skipped a few beats during close-call moments, but also the booth exploded with emotion. You really want everyone to feel welcome, involved, and have all these awesome things going on that people will remember and talk about. 7. Work on your branding. Please don't do plain logos on black backgrounds if you're not going to illuminate the logos on hanging signs -- nobody will notice that. You need to have strong branding. Think of a shape and color, and then stick with it. People recognize shapes that are easy to remember. Think of an X-Wing. Mickey Mouse. Angry Birds. You instantly see a shape pop in your head. When it comes to conventions, having generic booths never works. Nor does having boring colors and nothing memorable. Think of lights that bring your booth alive. If your company color is red, shine red flood-lights on the branding. Think of viewpoints, like our giant blimp tower. You see that spinning thing a mile away. Even on a shoestring budget you can standout. LED strips that react to sound cost $40 on Amazon. But don't try fog or bubble machines, I failed miserably with those. 8. Be prepared to test your stamina and nerves. Jetlag! You will be jetlagged. Learn to power through it. Sleep! You need to get at least 6 hours of solid sleep, which means plan for 8. Pressure & multitasking. When you're at a convention your business can't stop. Learn to multitask under pressure - go through your e-mails on time, and practice anticipating issues. You're dealing with logistics at shows, it's important to think possible conflicts in scheduling through. Mind your voice: it's easy to lose your voice during a convention, which is why you should anticipate that with mints and constantly drinking warm tea. Shows usually have exhibitor lounges where those are easy to get. Stuff will go wrong. It's okay. At every convention something goes wrong, and that's usually fine. Keep your cool and solve one problem at a time. PAX East 2014: accidentally ended up with a huge booth between Blizzard, Ubisoft, and NCSoft -- without a chance of standing out. We ended up driving to a Costco and buying orange towels, ductape, sheets -- anything we could find, to wrap our booth in what turned out to be our signature color. PAX Prime 2014: our orange obsession went overboard as we created a nice inviting space on the 6th floor where tons of people played SpeedRunners and half a dozen other games. PAX South 2015: our modular booth was born, and this is where we figured out how to do conventions properly. PAX East 2015: our modular booth experience from South allowed to create an open, inviting atmosphere. PAX Prime 2015: the modular booth layout facilitated a successful launch for Party Hard, and we realized the value of in-booth activities. PAX South 2016: "let's get a larger space" -- we scaled up the space and planned an open layout. Don't try to copy what everyone else is doing. You'll see a ton of bad examples. You have to realize that most of us can't compete with AAA budgets, so we need to outinnovate. Yes, this does mean spending all day trying to figure out the layout. Yes, it does mean flying in early and preparing. And no, this isn't something you can figure out last-minute, it takes preparation. No matter what, the best solution will still involve last-minute truck rentals to get something together, and then not sleeping all night testing builds -- but without prior preparation and thought, the chance of success is very slim. What we do an conventions takes an extraordinary amount of effort, I hope this article helps some developers make the best out of these events.